Painting is great fun, cleaning up after a session is no fun at all. It's a step in the process that many artists dread and some even avoid until it's absolutely necessary. The catch is that cleaning your palette is necessary. Whether you're painting with oil or acrylics, there are a few tips that you will find useful when tackling this chore. No matter what style of palette you use or which paint medium you prefer, the best piece of advice you can receive is to clean your palette right away. It's a habit that you may have to force yourself into, but it will save a lot of hassle. If you leave your paint to dry on the palette, it will make the job more difficult. This is particularly true when using a wood palette because the paint can get stuck in the wood's pores. Should you really dislike cleaning your painting palette, consider switching to disposable palette sheets. Some artists use wax paper and simply tape it to the bottom of their palette while working. 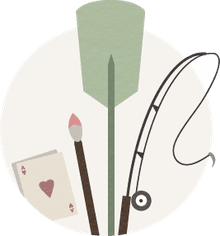 Tip: If you want to save paint for another session -- particularly the next day and with oil paints -- investing in a palette safe may be a good idea. Many artists choose to cover their palette with plastic wrap and this does a fair job if you get a tight seal. Acrylic paints are rather lenient because they're water-based. They clean up rather well whether wet or dry. However, you should avoid porous palettes like wood. Instead, opt for plastic, glass, or ceramic palettes as these are very easy to clean. Wipe off any wet paint with a paper towel. Use soapy water and a sponge to wash off any excess paint residue. Did your acrylics dry? Sometimes you can simply lift off entire pieces if it has reached that rubbery stage. Otherwise, soak the palette in window cleaner (some artists suggest fabric softener) for about five minutes. The paint should wipe away nicely. 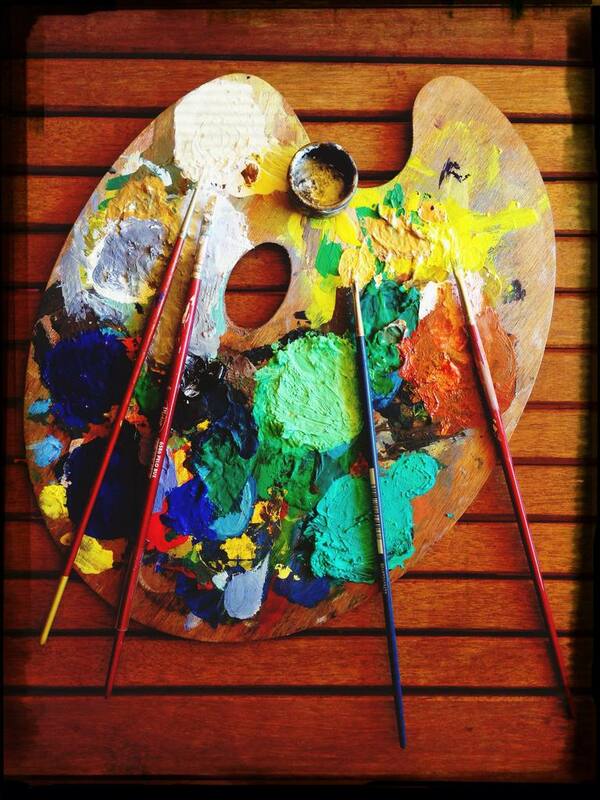 Wood palettes are popular among oil painters and the material is more forgiving with oil paints. The nice thing about wood is that you can recondition it periodically. You will also want to 'season' a raw wood palette before using it. The method is the same. If used, clean the palette using the directions below. Lightly sand the wood to give it a fresh, clean surface. Apply a light layer of linseed oil and rub it into the wood with a paper towel. Allow the palette to dry for a day. Repeat steps 2 through 4 at least once more and again as needed. Oil paints will stain a wood palette if left on it too long. It's best to squeeze out only the amount of paint you need during a session, but that's not entirely realistic. You can leave your palette paints on the wood, though you should remove any mixed paints after each session. If you're worried about matching paint, take notes and leave a swatch on the paper so you can mix it again. Tip: Many artists have found that collecting their mixed oils creates some amazing grays. You might want to have a dump jar available and try this for yourself. It can't hurt. To clean your palette, scrape all of the paint off with your palette knife. In order to remove excess residue, apply a light coat of a solvent and allow this to set for five minutes or so. Wipe the palette clean with a paper towel. Repeat these two steps if needed. Once the palette is clean, dampen a paper towel with linseed oil, rub it into the wood, and allow the palette to dry.